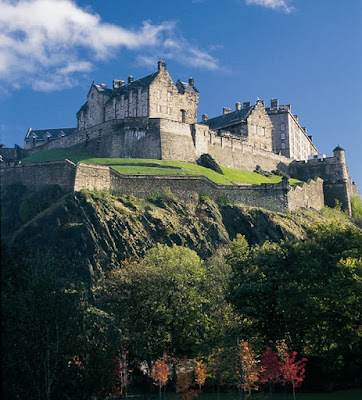 I decided not to include much information on the castle because The Official Edinburgh Castle webpage has it all! 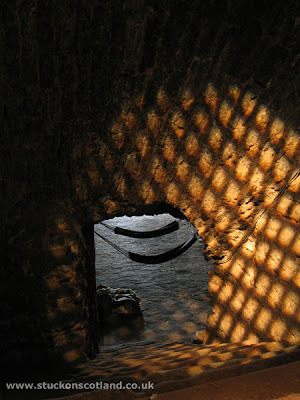 Click here if you wish to know more about the castle's history, timeline and visitor information. 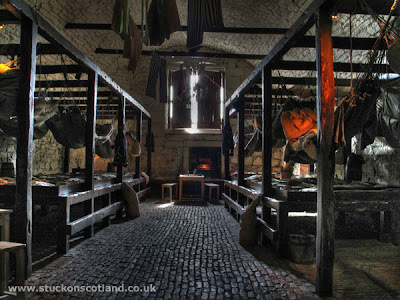 Also, click here for juicy castle secrets about Edinburgh - there's some good stuff! Those vaults and the staircase are both dreadful! 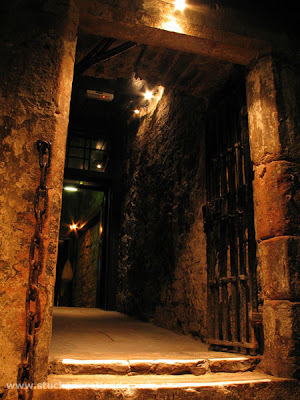 I hate to imagine those poor prisoners (the walls must be resonding with their cries)brrr! 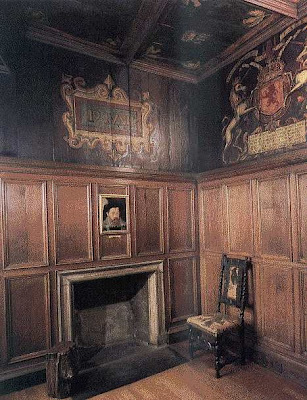 On a different note, I love the little room where Mary Queen of Scotland gave birth. I have to get to Edinburgh! It's only 3 hours away. Your pictures have made me wish I was going tomorrow! 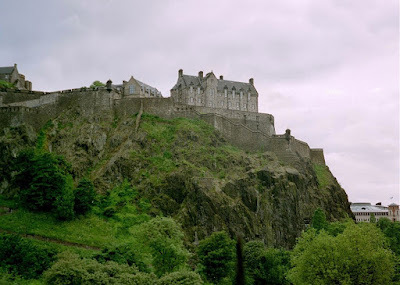 I visited this castle several times when my daughter was living in Edinburgh (her flat was only a couple of blocks away) I could not get over how absolutely cool it was to have a castle in the middle of a bustling city. 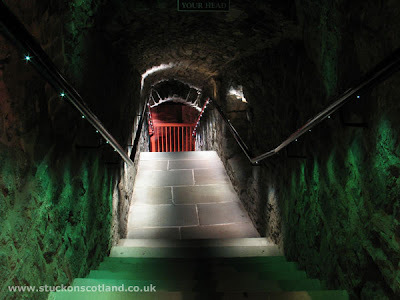 Kind of corny, but a lot of fun, was the candlelight tour of underground Edinburgh. Ms. Lucy: I know! I got the chills and my arm hair stood up just looking at it! I'm glad you like the posts! Wouldn't it be cool for all of us in this little sub-world of ours to tour these castles together? Meghan: totally jealous! You better get over there and post some pictures for us to drool over! No excuses! Christine: a co-worker's sister can see Holyrood and Edinburgh from where she lives and boy was I jealous when I heard that. Holyrood being my all-time favorite! I will most definitely be doing the candlelight tour when I go there...one day! 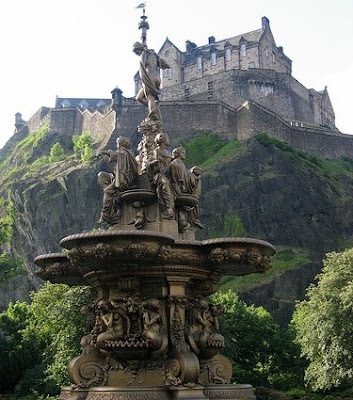 Can't wait to visit Edinburgh! The castle itself looks amazing but those vaults and the trip down there just look terrifying. I can't imagine being locked up in there. These are such awesome posts Amy! Well now we HAVE to go!!! The castle looks amazing! I need to check out that website so I can read about the Prisons of War Experience. That sounds intriguing. These castle posts are great! Thanks for putting so much work into them. Love the photos. Edingurgh is on my list of places to visit. Does the castle still have a standing gatehouse complex, and if so, do you have any pics of the inside of it?